From 1 October to 11 November, Guernsey will hold its 18th annual Tennerfest, which will see over 170 restaurants in Guernsey and its sister island of Sark offer three course menus starting from £10 (£12.50, £15, £17.50 and £20 menus also available). These special menus represent savings of almost 50% on normal prices and include Guernsey's fresh seafood and locally grown produce, all whipped up with the island's unique gastronomic flair. Menus and further details are available at tennerfest.com. Tennerfest is one of Guernsey's most popular foodie events with an estimated five million Tennerfest meals consumed since the events inception in 1998. Figures show that more than 300,000 covers are served at each Tennerfest, an incredible feat for some small islands! All Tennerfest participants offer innovative menus focusing on Guernsey ingredients and specialties such as Guernsey Gâche, a fruit loaf often served with Guernsey butter; the traditional 'bean jar', a one pot meal cooked overnight and made of beans, pork belly and onions and Gâche Méléé, which is similar to an apple cake. 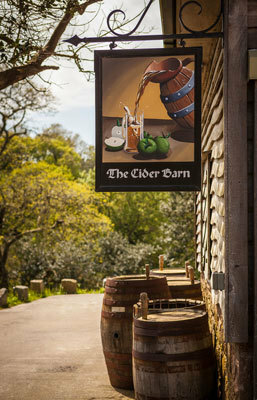 Guernsey made cheese is also offered for dessert on many menus with locally brewed beer and cider offered alongside the menus. Tennerfest started in 1998 as a way of attracting visitors during the traditionally quieter shoulder season but today it is the most important event of the year for restaurant owners in the Channel Islands and helps to bridge the gap between the busy summer season and Christmas. With inflation, the 'tenner' of 18 years ago means that menus start at £10 but there are also fixed price menus at £12.50, £15, £17.50 and £20.